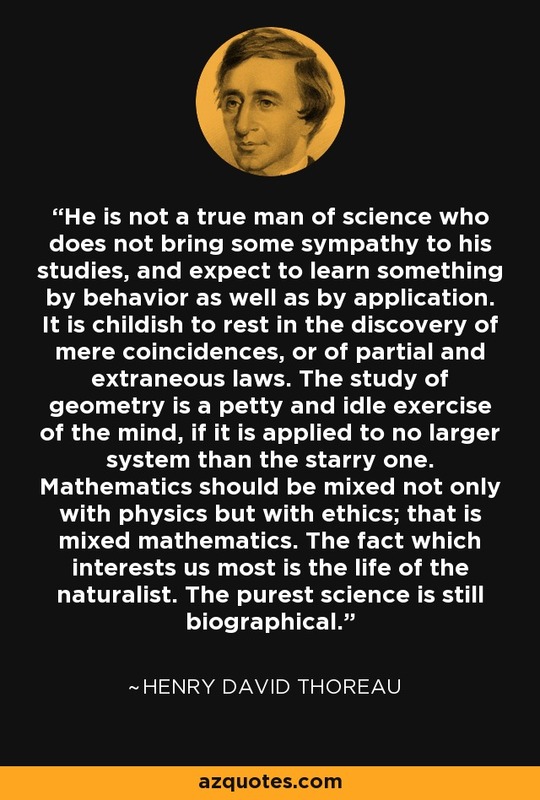 He is not a true man of science who does not bring some sympathy to his studies, and expect to learn something by behavior as well as by application. It is childish to rest in the discovery of mere coincidences, or of partial and extraneous laws. The study of geometry is a petty and idle exercise of the mind, if it is applied to no larger system than the starry one. Mathematics should be mixed not only with physics but with ethics; that is mixed mathematics. The fact which interests us most is the life of the naturalist. The purest science is still biographical.